Whether you’ve heard it on the news, read it in the paper or seen a friend on the winning side of an investment, it’s no secret that there can be significant potential for wealth creation in real estate. But before you can even begin thinking about those potential earnings, it’s important to have a strategy in place to finance your property investment. While property investments work similarly to other investment assets – buy, wait, and sell – there are more factors to consider when it comes to purchasing an investment property. 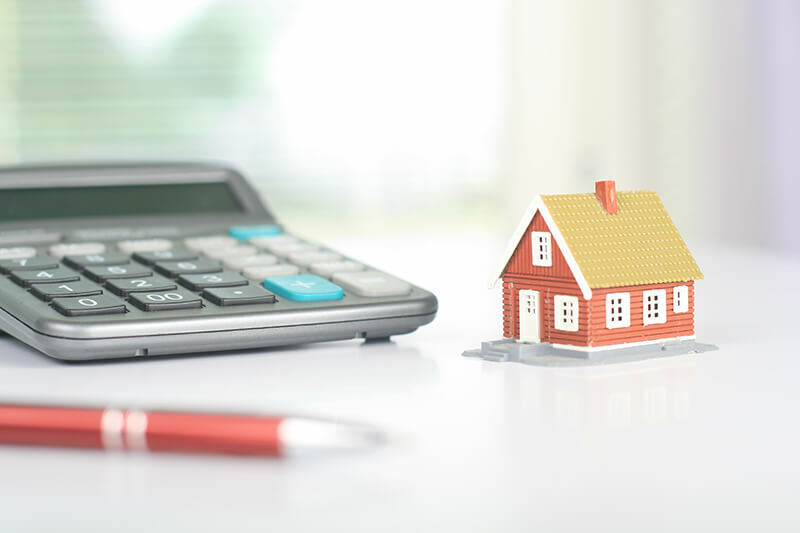 Just like any other investment, there are pros and cons, as well as additional risks and costs associated with purchasing property as an investment. However, the biggest difference is the vast amount of upfront capital required to get into the market. If you want a slice of the property investment pie but don’t know where to start, we’re here to help! In this blog, we outline three ways to receive financing for an investment property and get on the path to your own portfolio. Your friends and family can be the key to helping you finance your property investment in two ways: borrowing from them, or teaming up with them. First, we’ll talk about the former. The Bank of Mum and Dad is now Australia’s 8th biggest lender – seriously. And parents top the list of those handing out cash for free. As more and more young people struggle to get a foot on the property ladder, parents and grandparents are handing out cash contributions to help out – often funded by the vast growth in the value of their own home. Often, these handouts or loans aren’t actually used for first homes, but for investment properties. Attentions are now turning to ‘rentvesters’ – those who buy where they can afford, but continue to rent in their desirable suburb. Essentially, it allows more people to own a piece of real estate without having to live in Woop Woop! So, there’s your first option for financing your property investment: take a loan from friends and family – or if you’re lucky, a gift. Your second option is to team up with friends or family members and buy a property together. You’d need to obtain legal advice on splitting the equity, which may or may not be proportionate to the amount you’re putting in. It’s also worth considering all eventualities, for example, what would happen if you went in on an apartment with a mate who went on to get divorced. Is your property protected? Buying joint property with friends and family has its benefits – you’ll have double the income and double the savings to buy. But it also does carry risks, particularly if either party intends to live in the property at any point. Think carefully before adopting this strategy, and if you’re unsure, speak to a financial adviser about your personal situation. The most popular choice for securing financing for your property investment is obtaining a loan from the bank. Whether you already own a home or not, investor loans are available from most lenders. An investor loan differs from an owner-occupier loan, in that the property it pertains to is not the purchaser’s principal place of residence. Generally, you’ll pay higher rates of interest on investment loans, though each loan structure will be different. You can obtain an investment property loan in two ways: you can save a cash deposit as normal and allow your lender to assess your income and ability to pay back the loan. Alternatively, if you already own a home, you may be able to use the equity to secure the loan on another property. Surprisingly, you can indeed use your superfund as a way to finance your property investment. If you’ve ever looked at your superfund balance and wished you could access it for a deposit, you can! With an SMSF, you have the freedom to choose your investments, provided they meet the ATO’s investment criteria and satisfy the sole purpose test – that the sole purpose of the investment is to grow your superfund for retirement. As that may suggest, you can’t live in the property, or rent it out to anyone you know. But if you’re looking for a stock standard investment property, leased to the general market at an arm’s length arrangement, financing your investment property with your superfund could be for you. Alongside tax concessions, there are plenty of benefits to using an SMSF to buy property, though it is important to remember the value in having a diversified investment portfolio. The good news is, thanks to limited recourse borrowing arrangements, you don’t have to use your whole superfund balance! You can use a portion of it as a deposit, and borrow the remainder to bridge the gap. Generally, you’ll need at least one-third of the property value in your super to secure lending for the property. If you do receive funding, you’ll then use your fund’s income to pay the loan back as you would a regular mortgage. Remember, that your fund will need to have enough liquidity to pay the loan back during vacancy periods, and should be able to generate enough income to remain in a positive cash flow. However, it’s important to remember that setting up an SMSF, and purchasing an investment property, are not right strategies for everyone. There are many pros and cons to managing your own superfund, as well as investing in property. If you are unsure if either strategy is right for you, it’s best to speak to a financial adviser about your personal situation. Interested in learning more about how you can use your superfund to finance your property investment? Contact the experts at Squirrel today!